Spectral vibration monitoring is used as a predictive maintenance tool to assist in continuity of production for clients’ rotating machinery. Monitoring and analyzing the vibration characteristics of a machine gives us a unique understanding of overall equipment health, identifying potential problems before significant down time. Lambert Condition Monitoring provides comprehensive customized on-site vibration monitoring and reporting, as well as consultancy services. Contact us to schedule an interview to discuss your specific equipment, and let us craft a specialized report for your locations. 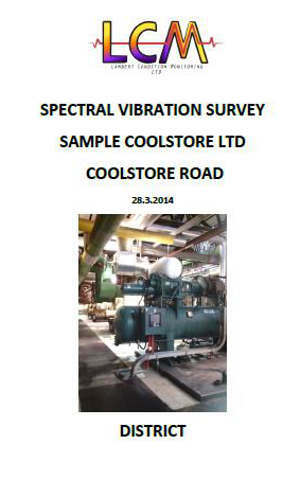 Download the free sample Spectral Vibration Monitoring Report Here. This Report is representative of one version of a customized survey completed for a location made available online to your company via the Document Portal and email.